Carl and I have been busy in the garden. It’s been lots of fun. I’ve planted: lots of tomatoes, peppers, zucchini, cucumbers, melons, onions, potatoes, sweet potatoes, carrots, lettuce (which is bolting), rhubarb, amaranth, and, naturally, borage. My herbs are safely in their herb boxes, and Carl built me a box just for basil. 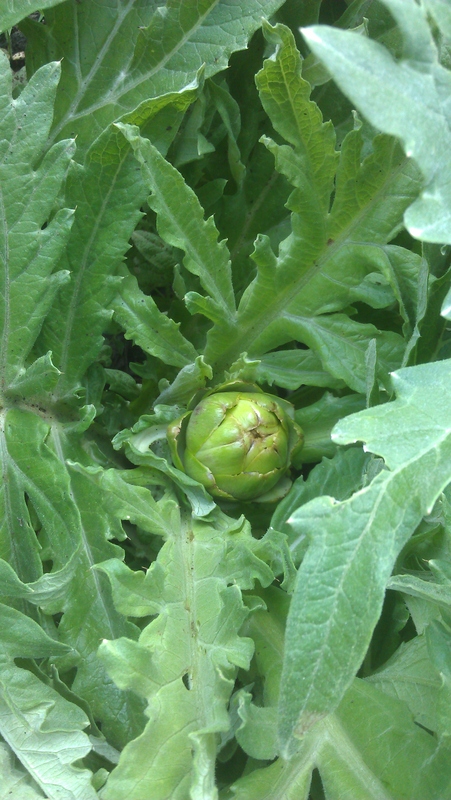 Our artichokes from last year are coming back! And our strawberries are doing great. 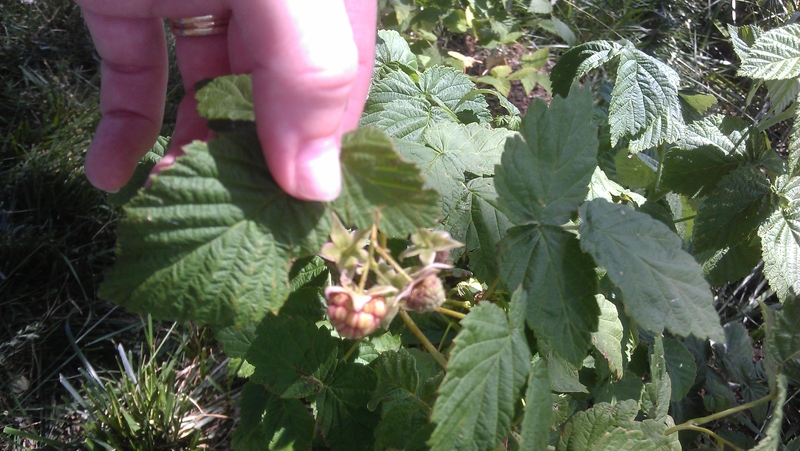 And our raspberries are coming in. 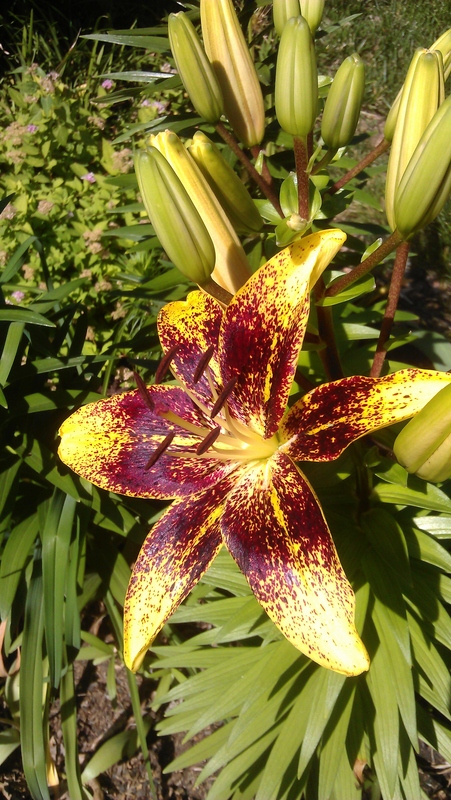 I’ve taken some pictures of some plants in the yard, in our flowerbed, and my lavender bed. 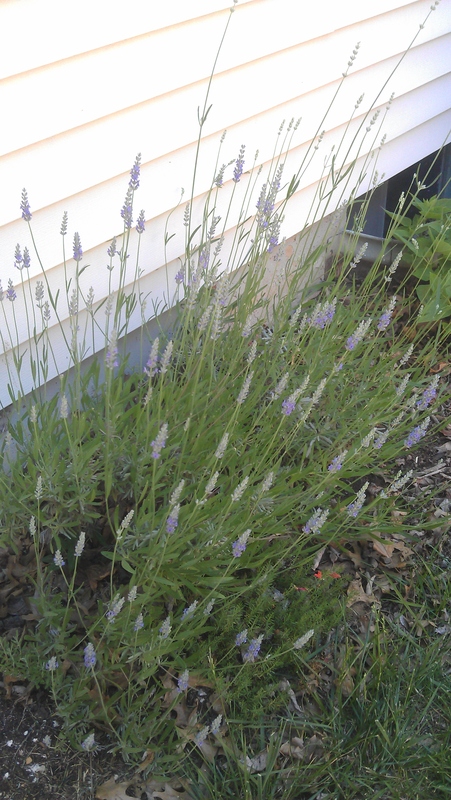 My lavender is blooming, and it’s awesome.